While playing for Miami, Brandon Marshall was diagnosed with borderline personality disorder. 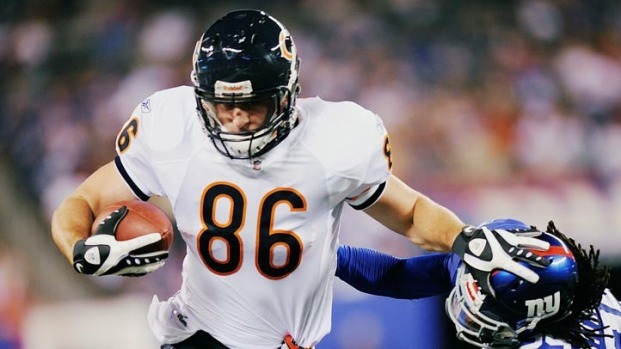 He vowed to become the face of the mental health issue, and has carried through with that mission since being traded to the Bears. Over the weekend, he gave the keynote address at National Alliance on Mental Illness convention. As reported in an excellent piece by the Chicago Sun-Times, Marshall was open an honest with the convention attendees. He held nothing back, including the incident where he hit rock bottom. As depicted in a trailer for an upcoming documentary, Marshall's wife had to call 911 after an incident in their home. Mental illness is too often not talked about. It carries such a stigma that a professional athlete with the stature of Marshall would rarely talk about it. Marshall bravery will not only help him work through his own issues, making him a better man and a better player. It will also allow others to seek help without a stigma, until such a stigma doesn't exist.